White stork (Ciconia ciconia) resting on roof. 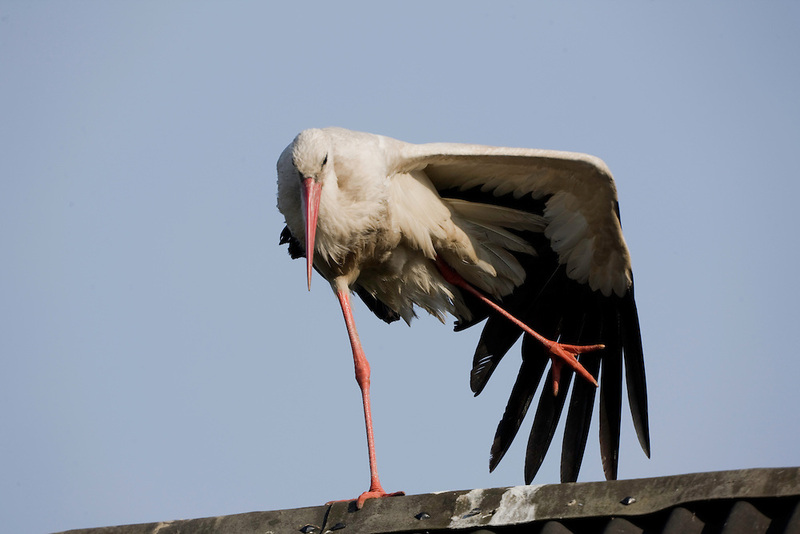 Čigoč village: recognized as the first founded European Stork Site by the E.U. ; one of the European Stork Villages European network. Lonjsko Polje Nature Park. Ramsar Site. Sisack-Moslavina county. Slavonia region. Posavina area. June 2009. Croatia.